Individuals at $125 and up; Groups at $400 and up. The Wizard of Oz characters are available for your next event! Choose from Dorothy, the Scarecrow, Tin Man, Cowardly Lion, Glinda the Good Witch, and the Wicked Witch of the West. Our characters don't just do meet and greets and pose for pictures, they also sing and dance! Our team will work directly with you to organize a custom tailored package that's right for you! We have been working with high profile clients as well as families and community groups for over a decade. So, when you are looking for a touch of magic, trust THE SPIRIT OF OZ to deliver! In 2013, we had the distinction of being Warner Bros.' official characters of the film's 75th Anniversary Celebration in Hollywood! Everyone had a great time and had nothing but positive things to say about the characters all night. Thank you! We enjoyed working your event and look forward to working with you again! The Wizard of Oz Characters were awesome. They were professional, on time an looked like the real deal. Also, they were very easy to work with. Thank you, It made our event! Robin Ryan, Fine Affairs, Inc.
Dorothy came to my son's 5th birthday party and surprised him. The birthday boy and all his friends were thrilled to see her! She brought him a present and letter from all the characters which made it even more special. Everyone enjoyed the pictures with Dorothy and singing songs. We wish we had more occasions that we could use as an excuse to have her visit more often. Dorothy is an absolute delight! Price Range: Individuals at $125 and up; Groups at $400 and up. We offer several different show types. Concerts are our most common type of performance. Our concerts include song and dance routines as well as skits. We can also do crowd participation shows, presentations, sing-a-longs, skits and small plays, speeches, you name and we can do it! We strive to present quality family entertainment that is enchanting for children and adults alike. All appearance include meet-and-greets with the characters. THE SPIRIT OF OZ has been representing these iconic characters for over a decade now. Each of our performers is trained in acting and singing and has plenty of performance experience. 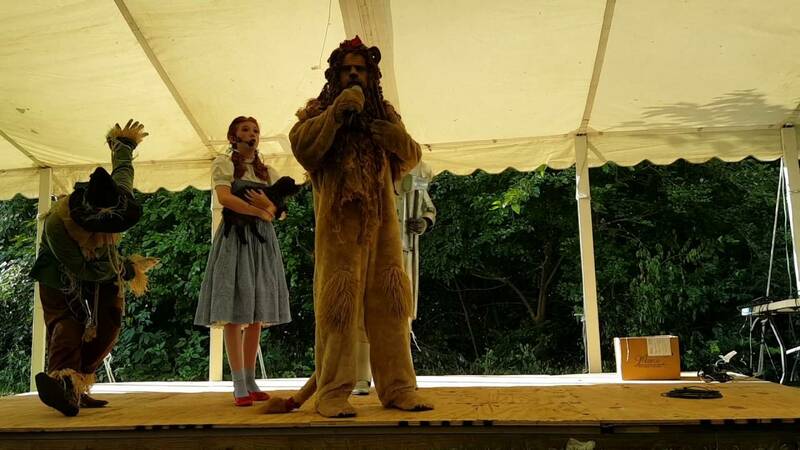 Our group started as the Official Characters of the Chesterton Wizard of Oz Festival in Chesterton, Indiana, but eventually grew into our own entity. We have since appeared at numerous Oz events such as Oz-Stravaganza! 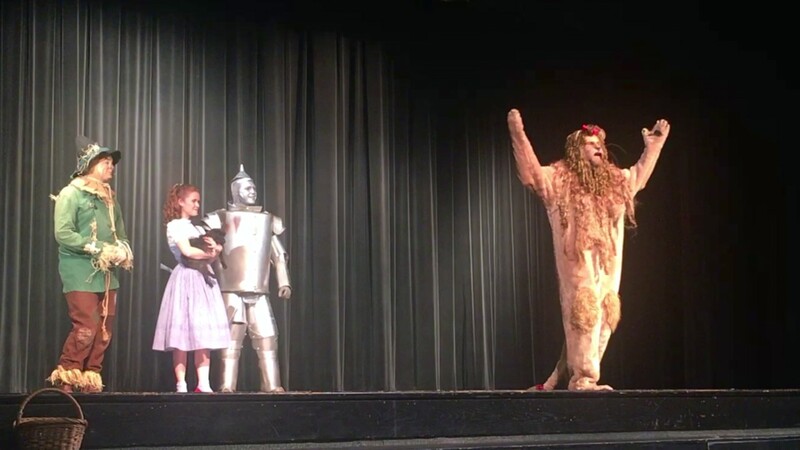 in Chittenango, New York; The Illinois Wizard of Oz Festival in Mapleton, Illinois; Wizard of Oz Days in New London, Missouri; and The Midwest Wizard of Oz Festival in Tinley Park, Illinois. We have appeared at several other non-Oz events like The Indianapolis 500, The Indiana State Fair, and the Dubuque County Fair. We take particular interest in family and children's events. Unlike other OZ character groups, our costumes are not store-bought Halloween costumes and masks. Each costume is handmade with the utmost attention paid to the details. We also use theatrical makeup techniques so that our characters are fully capable of talking, singing, and showing expressions - masks do not allow for this, they can also be quite frightening to children! Many groups out there also have women well into their forties playing Dorothy! All of our characters are appropriately cast. SEPTEMBER 2013: Our characters were hired by Warner Bros. Entertainment and made a special appearance at the world premiere of THE WIZARD OF OZ 3D at the Chinese Theatre in Hollywood! The appearance was heavily documented by the media and the characters were even featured prominently on ENTERTAINMENT TONIGHT! All of our performances require microphones (headset or lapel preferred) and a sound system with a CD players or iPod hookup. Depending on the size and scope of your event and the type of show you'd like us to do, we will discuss other technicalities such as lighting, special effects, etc. Our characters are based on those appearing in the works of L. Frank Baum. Our performers also take inspiration from the numerous film, stage, and television productions based upon the original story.